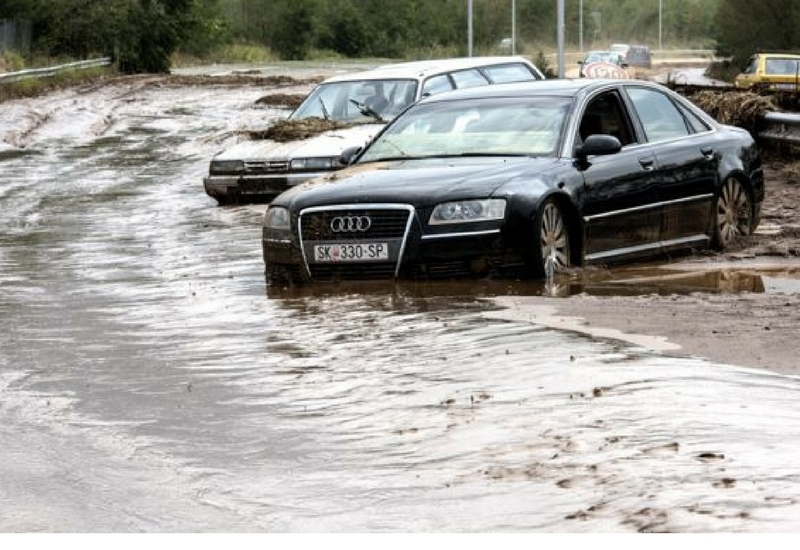 On August 6, 2016, heavy rains caused floods in Skopje and Tetovo, Macedonia, with much of the damage from the catastrophe being in outlying areas. The flooding resulted in the death of 21 people in the villages of Stajkovic, Singelic, and Aracinovo. Around 100 citizens were also injured in the flooding, while many families were displaced. The damage included cars being swept away and homes being destroyed. The BBC reports that over three inches of rain fell due to the storm, which they note was higher than the rest of August. According to Al Jazeera, the storm lasted for five hours and prompted landslides as well as power outages. The ensuing damage from the floods and the loss of life has taken a toll on these areas. However, we wanted to highlight the ways in which people are actively supporting those who were affected by the disaster. Both in-kind and monetary donations have been recorded after the flood on August 6th. Catalyst tracked over 50 instances of philanthropy so far, ranging from the Red Cross opening a specialized bank account to support humanitarian aid to victims of the flooding to the Macedonian diaspora donating money to flood relief. Catalyst’s current data around the giving for flood relief shows that there has been over 1.5 million EUR raised through various campaigns, including special phone numbers that allow for quick donations and even online campaigns using Go Fund Me and similar websites (like this Go Fund Me page from a woman in Florida, U.S. who is raising money for a friend’s family who lost their home and a member of their family during the flood). Examples of the ways citizens are assisting those affected by the August 6th flood are numerous. We’ve pulled a few examples from our data to show these varied ways of giving back. These stories show that when something terrible happens, communities will come together and donate their time, their resources, and their money to help. These instances of giving show a cross-generational, cross-sector, transnational approach to the flood relief. Youth volunteers from an event in Kraljevo, Serbia volunteered in Skopje to assist the victims and help with clearing debris. The company, Pela Rosa, donated 15,000 liters of water to the victims as well. Another company, Ohridska Banka Societe Generale ad Skopje provided 350 cotton blankets, 200 pairs of rubber boots, and 500 kg of canned goods to help the flood victims in the region. Foundations and religious communities are also contributing to the affected. The Lyoness “Child & Family” Foundation with Lyoness Macedonia gave to six families from the flood. This donation included money to buy home appliances that were destroyed. The foundation plans to give to five more families in the near future. The Islamic community in Albania also contributed to flood relief, raising 20,000 to donate. On the blog, we’ve already discussed how philanthropy can be done in everyday circumstances, and it is always necessary to rally behind communities who have lost so much due to natural disasters like the flood. Though we can never replace the lives lost or the memories destroyed by these horrific events, we can at least be willing to give in ways that will make this difficult time easier as well as providing a way to make their lives easier in the aftermath.